When I thought of “Pay it forward,” the first image that came to mind was the movie starring Helen Hunt and Kevin Spacey that premiered in 2000. A young boy, who took his teacher’s project seriously, came up with an idea to help people that really needed it. The concept was that if good fortune came to you, you would help three others and they each in turn, would help three others and so on. Ultimately, behavior like that would make the world a better place in which to live. I really liked the movie and its message, but I was heart-broken by the way it ended. However, that component also lent itself to the movie’s overall message and to my life’s meaning: giving selflessly wasn’t always easy and the cost may be more than you thought. As I write this, the Easter weekend has passed and I am filled with the awe and wonder of Jesus who took horrific punishment for our sins. He “paid it forward.” How can I take this gift I’ve been given and share? Attitude. I believe it all begins with attitude. It isn’t what happens to me, it is how I react to what happens to me. This “knowledge” didn’t come right away or at a young age. Cost had to come first, then gifts, and then I could be helpful and share. In school being a farm kid, I wasn’t one of the popular crowd, wasn’t a cheerleader, a book brain, or a sought-after date. I was one of those kids who slid through high school untarnished and unnoticed. My attitude was one of an old-fashioned childhood including: obey your elders, no sassing, homework and chores. But then one warm spring Sacramento evening in 1997, everything changed. I realized I could not manage my life by myself, couldn’t “make” things work the way I wanted them to. I surrendered my life to the Lord. A new realization enveloped me that I didn’t have to feel guilty or be ashamed anymore. I had been given great gifts of forgiveness and mercy. Now I could turn and give to others….pay it forward. My life became shaped by my experiences and my resolve strengthened by my pain. Today my attitude is love like Jesus and help hurting people. 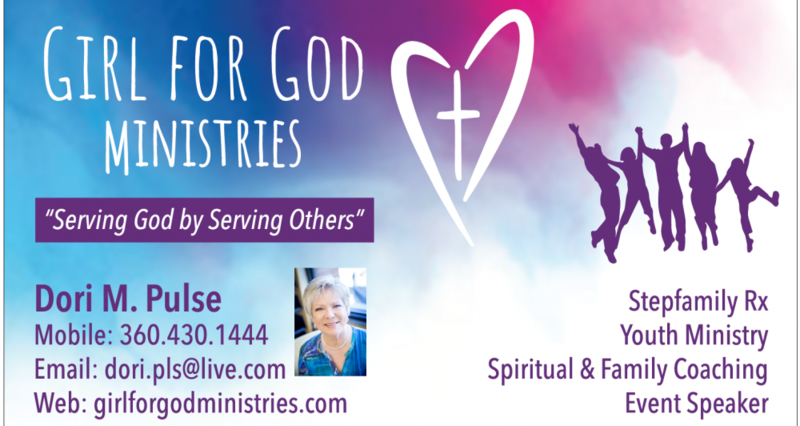 This entry was posted in Advice, God in marriage, Remarriage, Stepfamily, Stepmoms and tagged Christian, Divorce, God, Marriage, Remarriage, Stepfamily, Stepmoms by Dori Pulse. Bookmark the permalink.